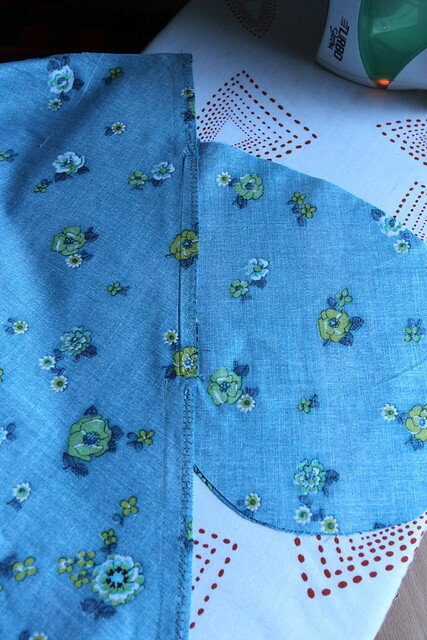 The third and final part of this mini series, is adding an inseam pocket to your skirt. 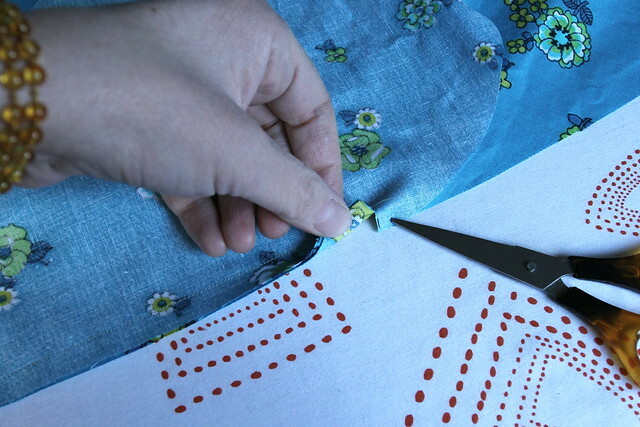 These instructions will work for adding in seam pockets to any skirt. Click here for parts one and two. 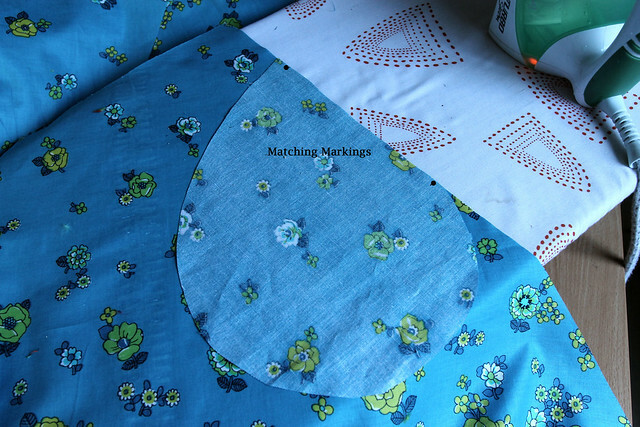 Start by placing your pocket piece right sides together with your skirt front panel, matching markings or notches. 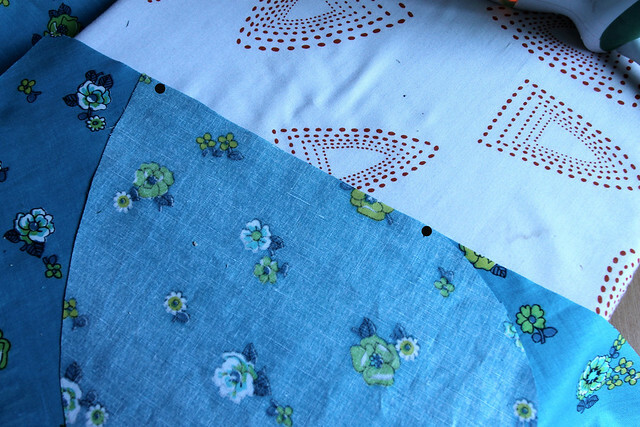 Here I have used markings on the fabric. 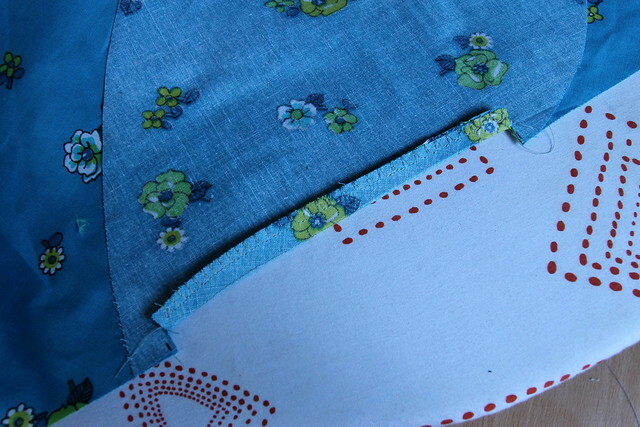 Machine stitch between the markings with a 1cm seam allowance. 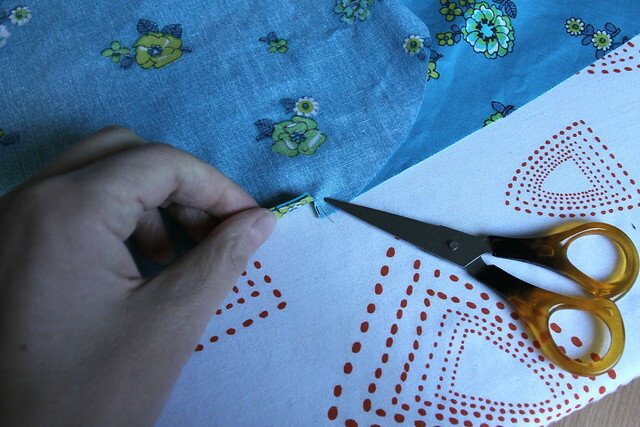 Trim carefully to stich line at markings. Neaten pocket seam in your preferred way. 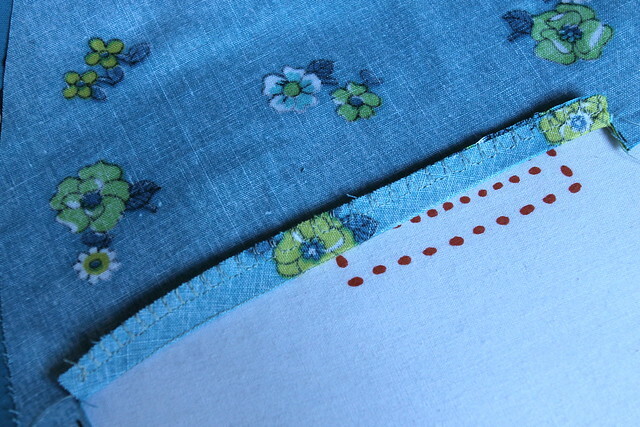 Here I have used my overedge stitch on the sewing machine, stiching seam edges together. 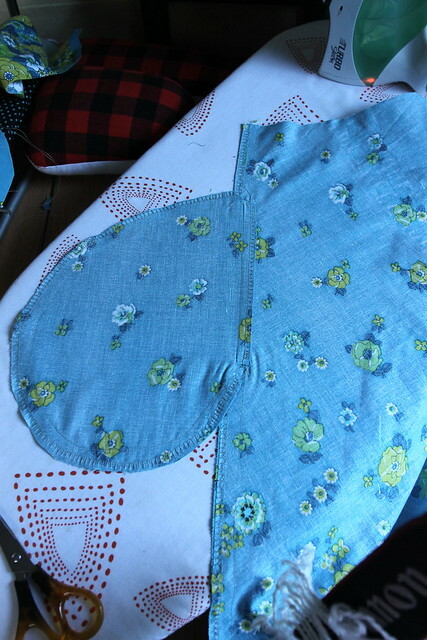 Press seam to the front. 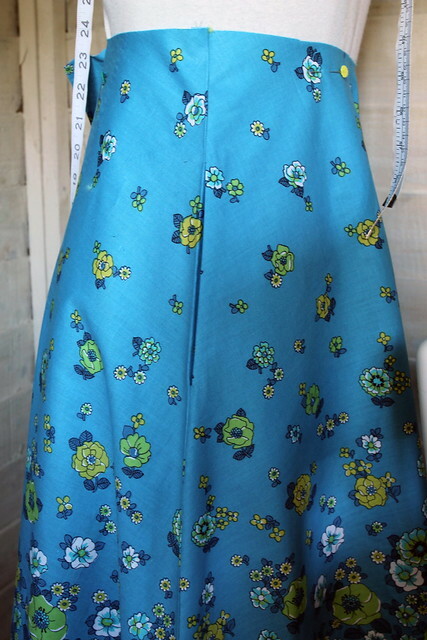 Repeat all steps for skirt back panel, but press seam to the back. This reduces bulk . 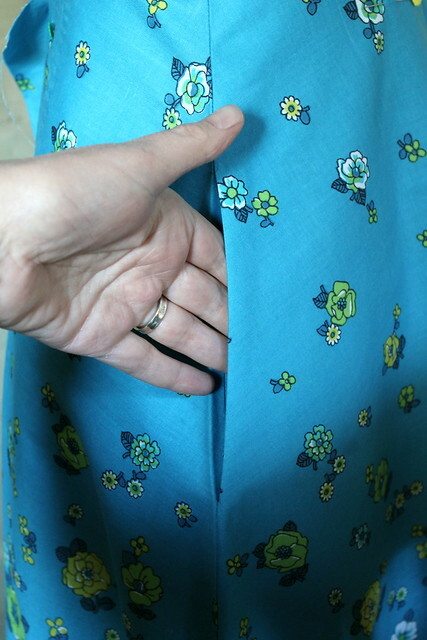 Pin and tack skirt seam above and below pocket opening. 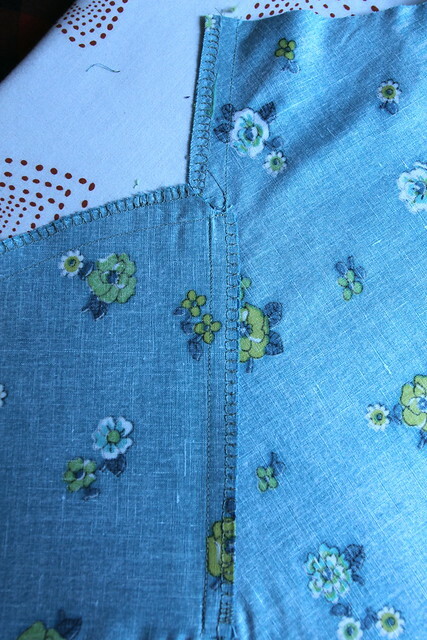 Stich a 1.5cm seam allowance, backstitching at pocket edge. 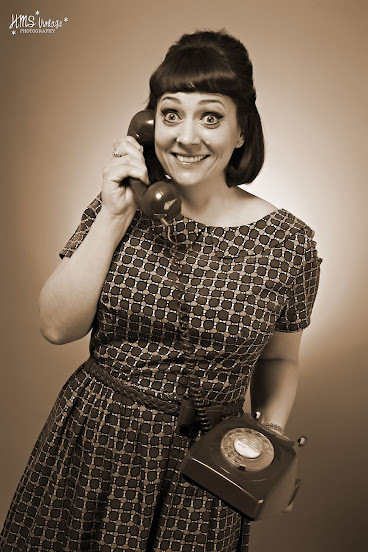 Neaten and press. Pin and tack pocket pieces together. Stich a 1.5cm seam allowance. 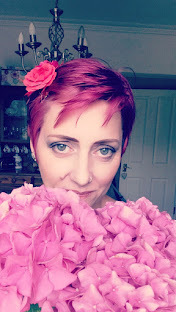 Neaten and press. Press well. 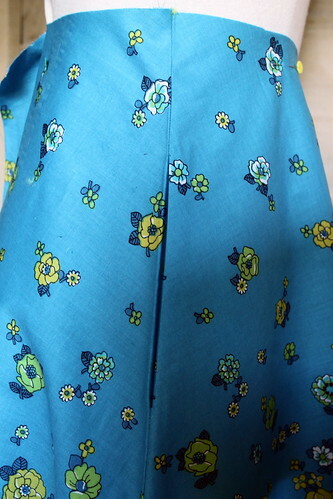 Here I have pressed the side seams to the back of the skirt.